Offering sponsored mobile data access can help marketers build awareness and monetise consumer engagement, especially in prepaid markets where consumption is typically rationed. 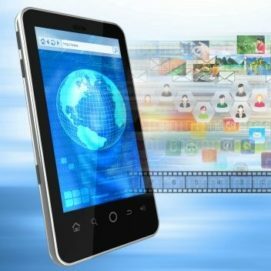 It offers brands, advertisers, app developers, and publishers an effective way to reach, acquire, and retain mobile customers, according to Syntonic CEO and co-founder Gary Greenbaum, who notes that it also paves the way to four billion people who cannot afford to connect to the mobile web. 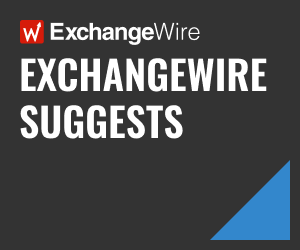 In this Q&A with ExchangeWire, Greenbaum discusses the challenges, as well as opportunities, sponsored data access shores up and explains why it can still be valuable to marketers in countries such as India, where such services are restricted by the local government. ExchangeWire: Why should brands and marketers in Southeast Asia and Asia-Pacific be interested in sponsored data? 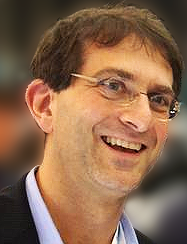 Gary Greenbaum: Sponsored data provides new ways for brands, sponsors, advertisers, application developers, content providers, and mobile operators to reach, acquire, engage, retain, and monetise mobile consumers. Sponsored data provides immediate value to more than two billion consumers in prepaid markets, where data is rationed, and to more than four billion people who don’t have the financial means to connect to the mobile internet. Sponsored data allows marketers new ways to advance the customer relationship, without modification to content, mobile applications, and the delivery network. Where are you seeing growing interest in sponsored data within this region? The strongest interest we are seeing in Freeway by Syntonic and sponsored data is coming from markets where prepaid data is dominant. The fear of exceeding data limits on prepaid data plans in Southeast Asia hurts consumers by limiting their access to content. It underutilises the mobile networks and impedes monetisation opportunities for application publishers and content providers. What opportunities, as well as challenges, do your clients in the US face? There are two challenges, and one big opportunity, in the US. The first challenge is that a cross-operator solution for sponsored data is needed. Today, content providers and application developers need to build and manage their offers separately for each mobile operator. This is not a scalable approach, considering there are multiple carriers in the US. The second challenge is that sponsored data needs to be supported without requiring any changes to the content, applications, and supporting delivery networks. Developers are busy and cannot afford the overhead of modifying their applications or integrating an SDK (software development kit). A major sponsored data opportunity in the US, where mobile data is abundant and relatively inexpensive, is with video and music services that still impact consumer data plans. We are actively engaged with major carriers there to provide a Syntonic cross-carrier service. How would you advise your clients in Asia-Pacific to resolve these challenges and better tap growth opportunities? Our advice for this region varies by geography. In postpaid markets, such as Japan, where data is relatively inexpensive, the demand for video and music still outstrips the limits of consumer data plans. Sponsored data services in postpaid markets should focus on video and music services. In prepaid markets, such as Indonesia, Thailand, the Philippines, and Malaysia, data is rationed resulting in more opportunities to use sponsored data to build awareness, acquire consumers, deepen consumer engagement, increase customer retention, and monetise engagement. In the few markets where sponsored data is being restricted due to regulatory challenges, such as India, rewards and loyalty programs provide unrestricted opportunities to offer sponsored content services. As telco networks are upgraded and become more efficient, basic prepaid data packages will increase, reducing the need to ration data usage. Why would sponsored data services still be necessary? More than two billion people today ration their data in prepaid markets, and 4.3 billion people cannot afford to connect. As an industry, we have a long road ahead of us to connect the world. As we’ve seen in the US, Latin America, and Southeast Asia, the appetite for mobile content is enormous; and has been outstripping capacity and challenging existing business models for some time. What we’ve seen with Freeway by Syntonic is that sponsored data introduces new business models that reduce the friction to reach new audiences and foster consumer relationships. This provides long-term value for consumers and the entire mobile ecosystem, including mobile operators, advertisers, sponsors, content providers, and application developers. In the largely untapped mobile markets, like Indonesia and India, providing sponsored data services will likely end up attracting users who do not have large purchasing power. How should marketers justify their ROI for using sponsored data to reach such audiences? Brands, advertisers, content providers, and application developers all derive value from consumers in a wide variety of ways. For example, a brand may have a multi-year strategy to build awareness and grow affinity with consumers, simply to establish market presence. Application developers may be interested in amassing a loyal audience that is valuable for advertisers or product cross promotions. Sponsored data services with Freeway by Syntonic may be specifically focused on only one market segment, such as paying consumers or consumers who previously paid but are no longer engaged. Mobile operators may use sponsored data to build loyalty towards the day when consumers do gain the purchasing power to afford a plan. In addition to commercial services, sponsored data also affords government the opportunity to provide vital services to their citizens, for instance, delivering medical service information, clean water advice, energy tips, and emergency services. Amid a landscape where adblockers are increasingly accessible, how do you see this impacting the deployment rate of sponsored data? Advertising is only a small component of what can be provided through sponsored data. Of course, there is an opportunity for consumers to watch or interact with an ad to earn sponsored data that they can then use for one application or, in the case of a rewards program, for any application. However, the bulk of sponsored data will be used to improve customer lifecycle management across the content and application experience. For example, an application developer may want to attract new users by sponsoring the data for downloading and trying out a new application. A game developer may want to win back customers who purchased content, but who have not played in the last six months, by providing them sponsored game play for a week. A content subscription may include all data costs. Sponsored data addresses numerous points of friction to reach a new audience, acquire new consumers, deepen engagement, monetise, retain and reward consumers. Sponsored data is similar to initiatives such as Facebook’s Basic Services, which offer free data access to partnering apps and services, and have been met with criticism related to net neutrality. How would you respond to such observations? Free Basics by Facebook, formerly called Internet.org, is an Android initiative that provides zero-rated (or free/sponsored data) access to a specific set of lightweight mobile websites for news, maternal health, travel, local jobs, sports, communication, and local government information in markets where internet access is less affordable. In comparison, Freeway by Syntonic is a sponsored content consumer service accessible to all applications, web developers, content providers, advertisers, sponsors, and operators. Sponsored data is just one of the content services provided with Freeway by Syntonic. There are other business models and technology solutions that we offer, even for restricted markets such as India. For example, we enable content providers the ability to offer consumers rewards and loyalty programmes, where a consumer can view some content to earn free mobile data that can be used to access any mobile content. These programs are popular with markets where consumers ration their data and in markets where people cannot afford to connect. While some of our functionalities are currently restricted in India, due to the country’s telecom regulatory policies, we still have ample opportunity in India with Freeway by Syntonic for other sponsored content services.